Home » Crafting » Jars » Universe Jar Tutorial Hold the entire universe in your Hands! Learn how to make a universe jar in this easy perfect tutorial that brings an entire universe in a jar straight to you! 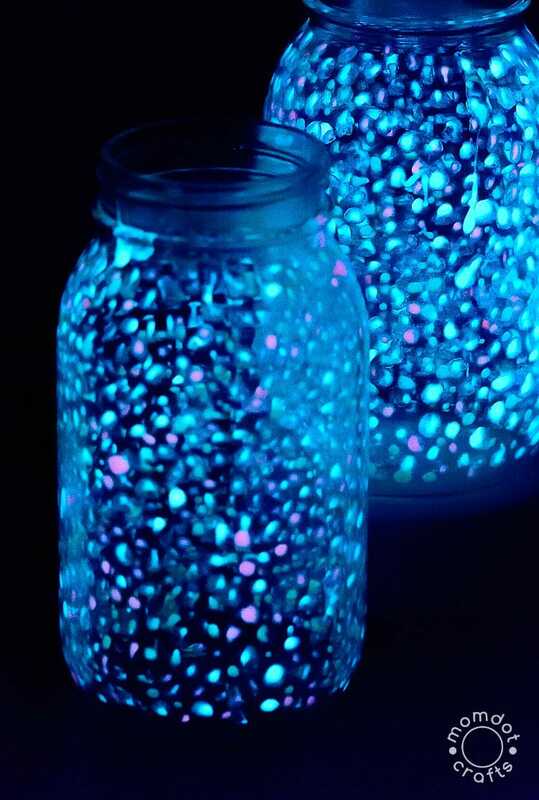 The universe jar is different from the fairy glow jar in that it doesn’t take a glow stick, but rather paint, so it’s a lot more kid friendly for them to participate in the whole process. Also, if you are looking for a Galaxy Jar we have that too! 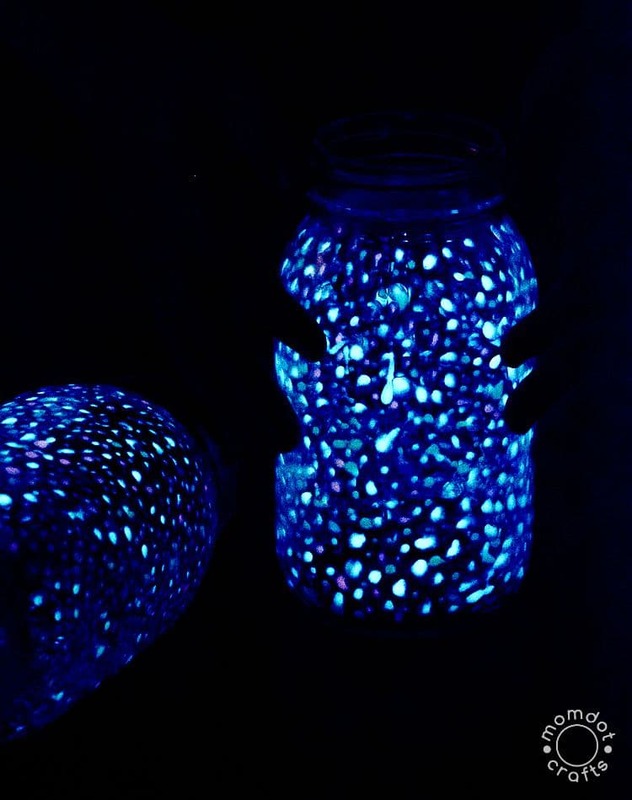 This tutorial also works as a Fairy Glows Jar, Firefly Jar or really anything your kids can think of, but I prefer to share with the kids the wonders of all the stars in the sky and it’s also reusable! Here on MomDot, one of our more popular crafts is our Fairy Jar Tutorial and so we know that you love, love using your imagination with your kids! 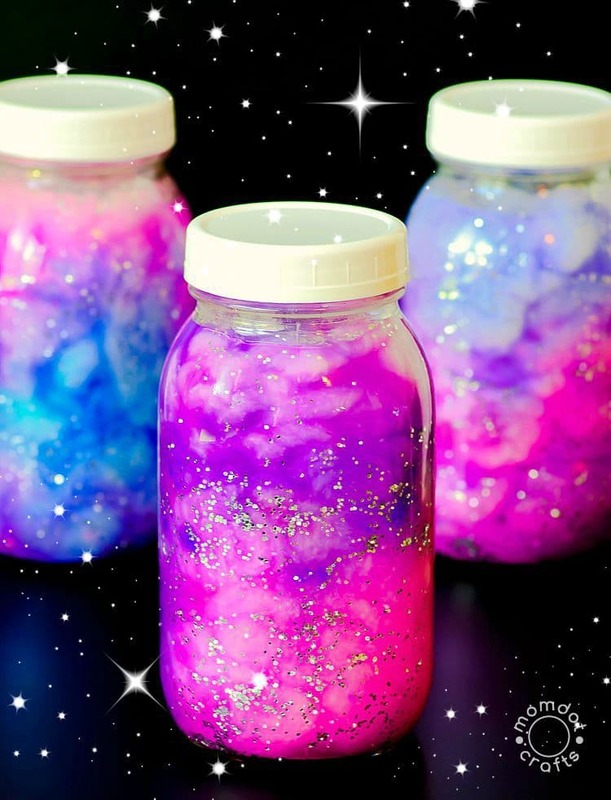 And because of this, we wanted to inspire you to create your very own “Universe in a Jar” with them. 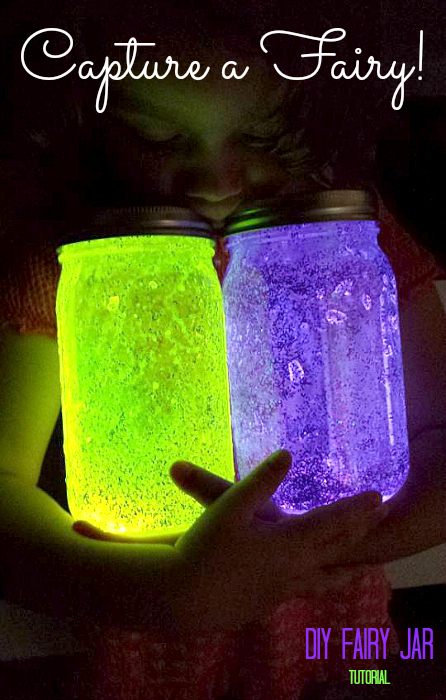 It’s so easy that your kids can participate in making a light up jar that looks just like the universe! Want the same results that are here in my galaxy jar? 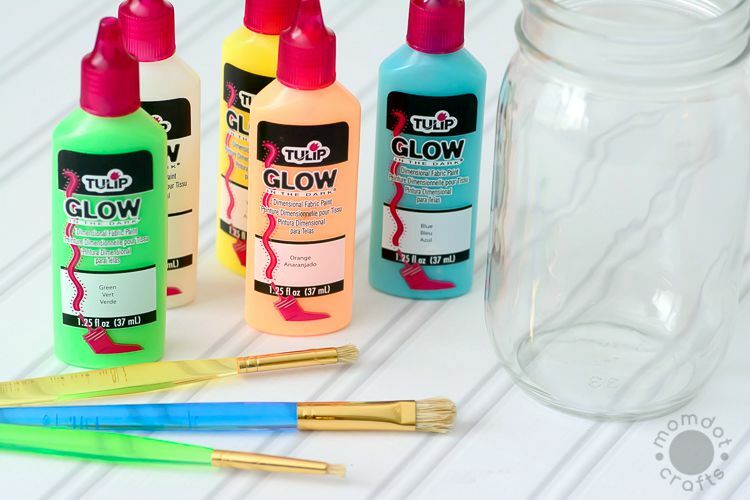 Make sure you pick up the Tulip Glow Paint ! 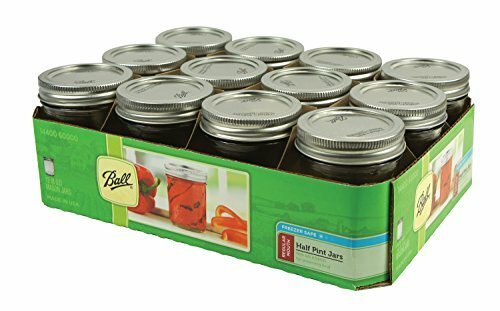 This multi-pack will make sure you have plenty of colors for your jar. 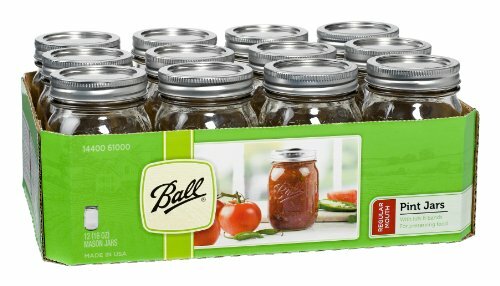 Clean jar thoroughly and let dry. 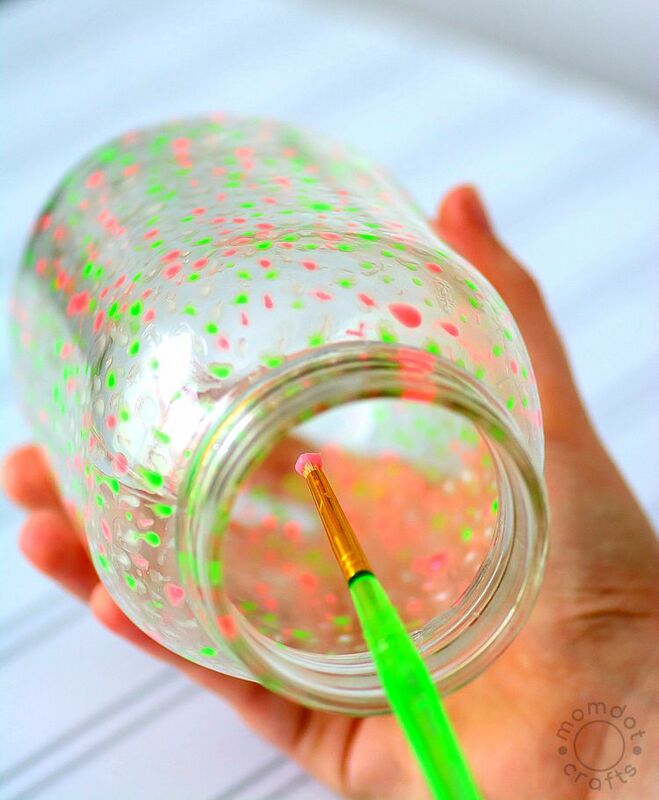 If you try to make your DIY universe jar with a wet jar, the paint won’t stick. The best way to get an even covering is to dot the paint on with a paintbrush starting at the bottom and working your way up. Add larger dots for “Planets” in your universe. If you want to get creative, make a constellation or a comet! Turn off the lights and enjoy your beautiful Universe in a Jar – can be used again and again! Now Hold the Universe in your Hands! Have you seen our Fairy Jar Tutorial? Click below to see how we caught a fairy! 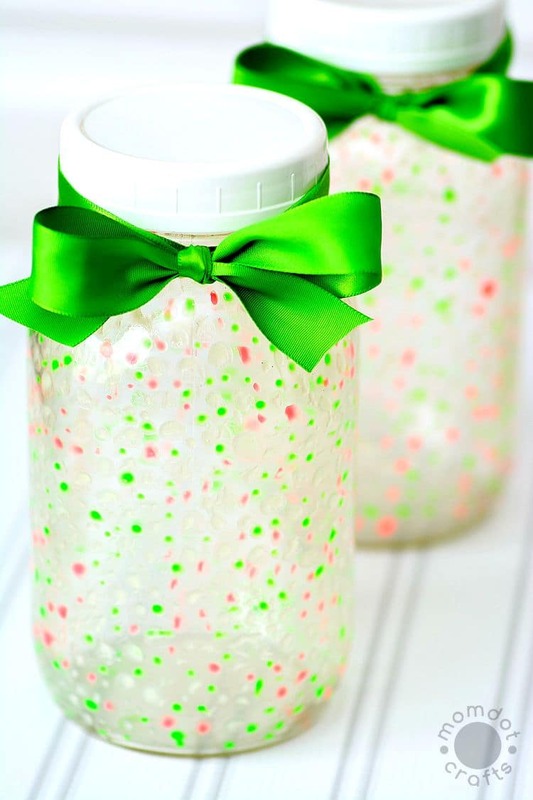 « DIY Spice Jars: Update your Kitchen with Cute!